This visually striking film portrays three musicians from disparate parts of the globe, whose common ground is not only talented virtuosity but also their heritage as “islanders”. This visually striking film portrays three musicians from disparate parts of the globe, whose common ground is not only talented virtuosity but also their heritage as “islanders”. 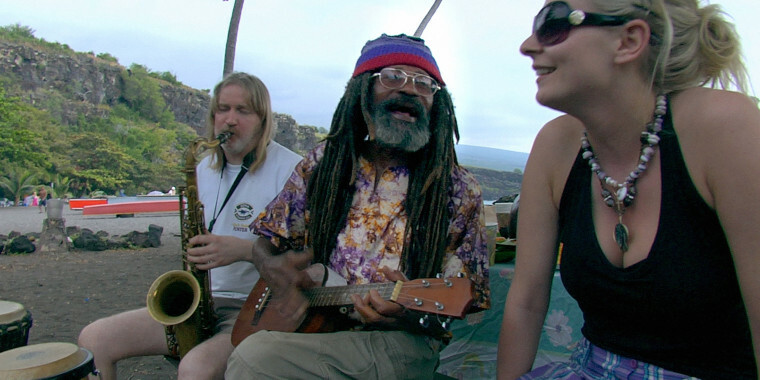 Saxophonist Villu Veski from Muhu Island in Estonia, Faroe Island singer Eivør Palsdottir and Barak “Bird” Levi from Hawaii all draw, in their unique ways, inspiration from their natural environments and age-old traditions. Underscoring each musician’s works are subtle but expressive differences that characterize the spirit and nuance of their own island habitat. This film invites the senses to take flight.